Thomas Johnson Westropp (1860-1922) was a Limerick-born scholar and a graduate of TCD. 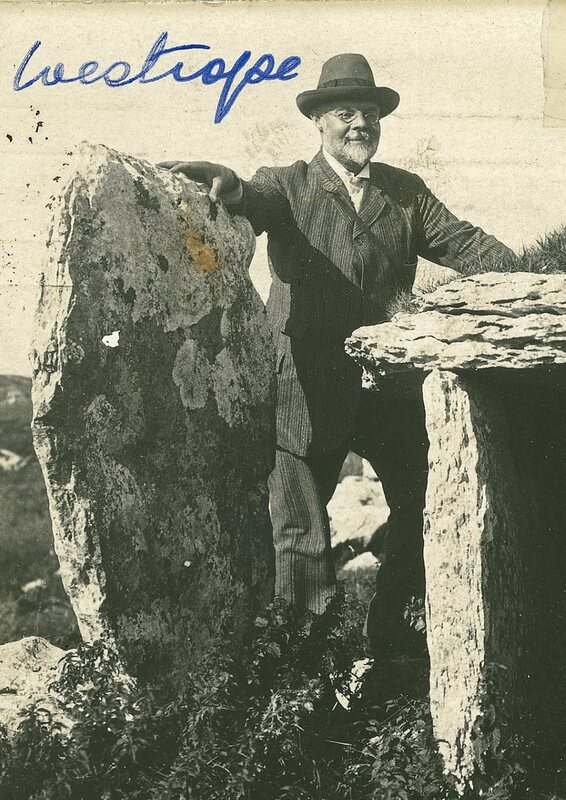 He was an antiquarian and a member of the Royal Irish Academy and the Royal Society of Antiquaries in Ireland; he published widely and spent his life researching and recording the archaeological sites of Ireland. Westropp is especially notable for pioneering the use of photography as a method of recording ancient buildings that were in danger of being lost. 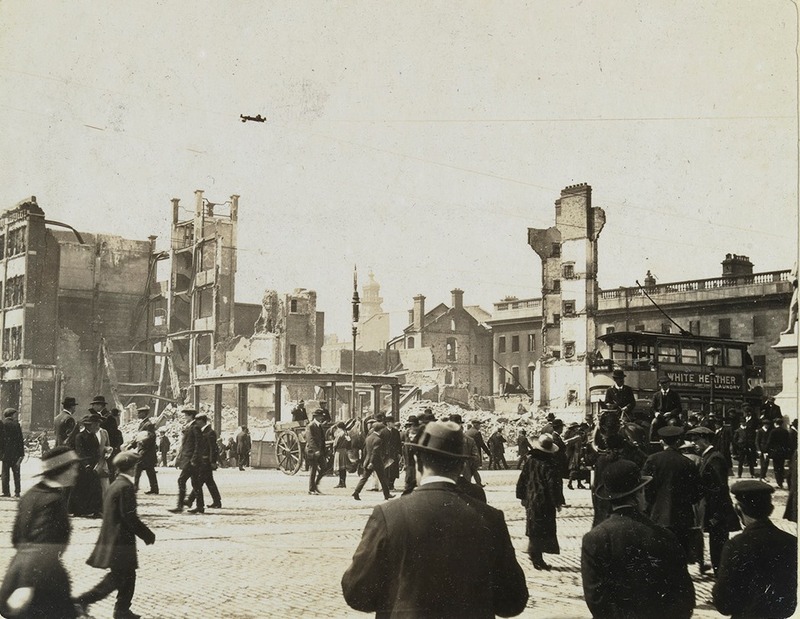 In the weeks following the Easter Rising, he found himself surveying ruins of a more recent date. 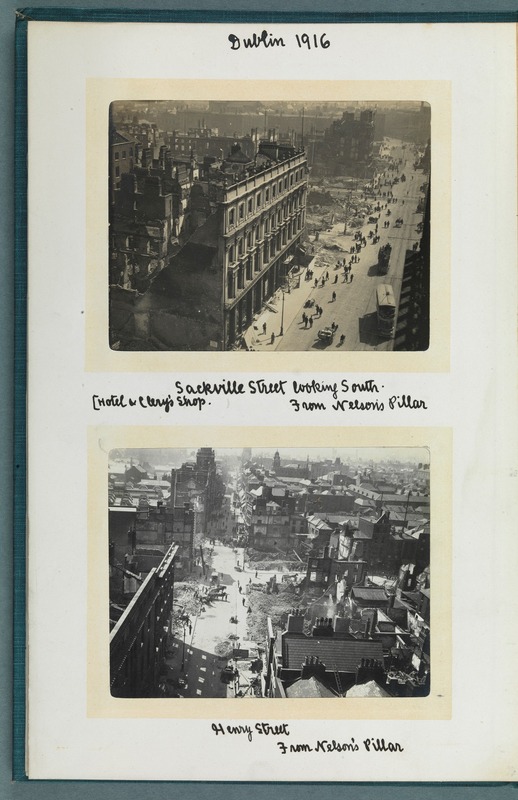 Turning an archaeologist’s eye to the aftermath of the Rebellion, he compiled a set of 44 photographs that record the havoc wreaked on the architectural fabric of central Dublin, particularly Sackville Street (O’Connell Street) and the surrounding area. He took most of these photographs between 17th and 18th May, with some additional ones taken in July. 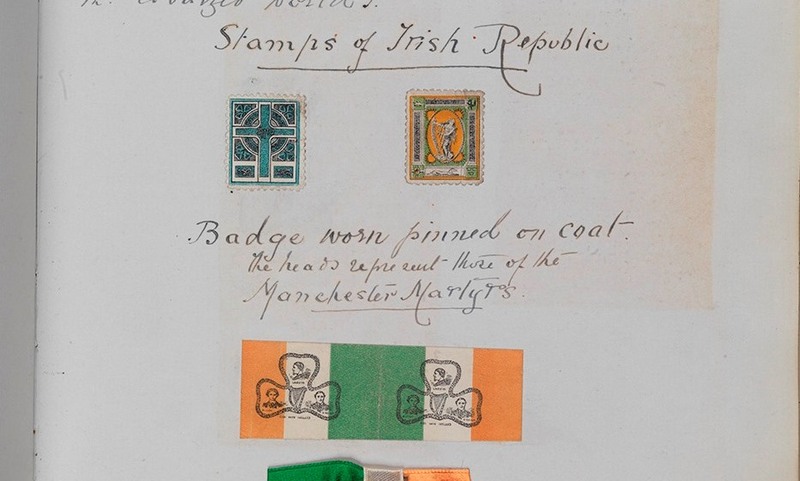 They were compiled into albums; one copy was presented to Trinity College, with an inscription bearing the date of 9 June, and another to the Royal Irish Academy, with an inscription bearing the date 13 June 1916. However they were probably presented at a later date given that the final images in the albums were not taken until July 1916. 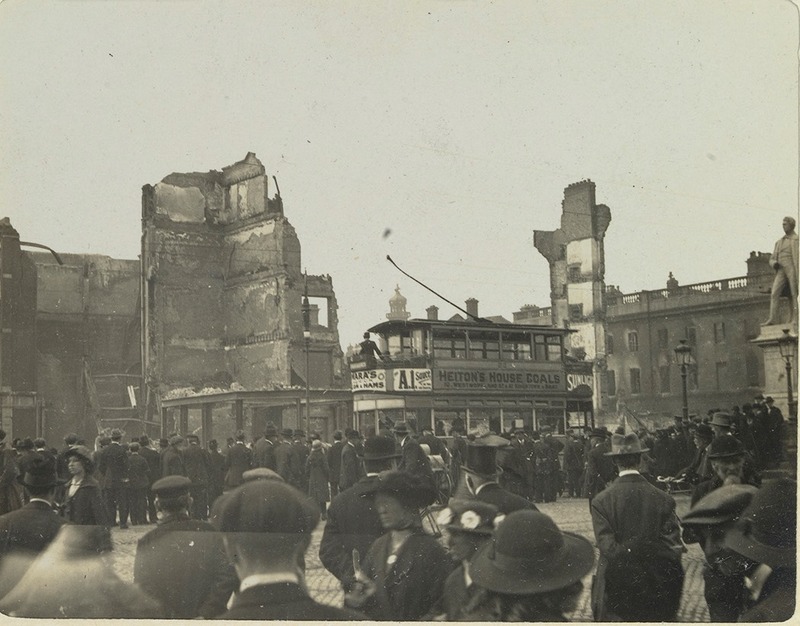 The photographs were clearly intended as a consciously formal record of the damage. Many shots were taken from the summit of Nelson’s Pillar and give a bird’s eye view down onto the debris. 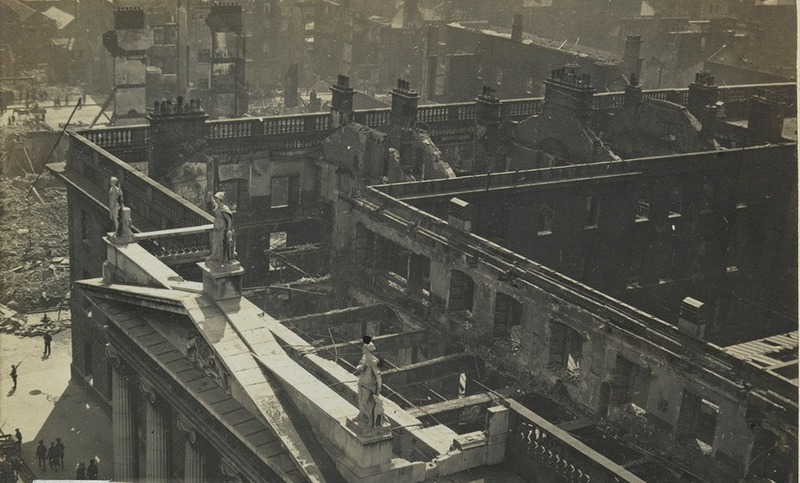 While the GPO received most of Westropp’s attention, there are also detailed shots of Liberty Hall, the Four Courts, Clery’s, the Hotel Metropole and the Royal Hibernian Academy. The latter had lost its façade, ceilings and floors exposing interior walls from which fireplaces hung. Westropp’s images also communicate the changing nature of the urban landscape in the period immediately following the Rising. 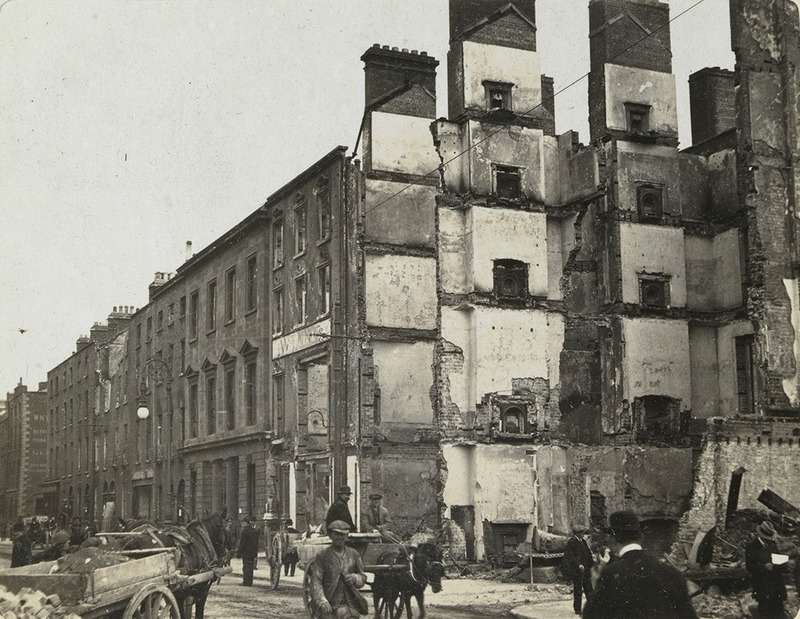 The city had many precarious structures on the brink of collapse or demolition – this is conveyed in two before-and-after images taken on Middle Abbey Street: one is labelled ‘Corner house on point of falling’ and another reads ‘Immediately after fall of corner house’. 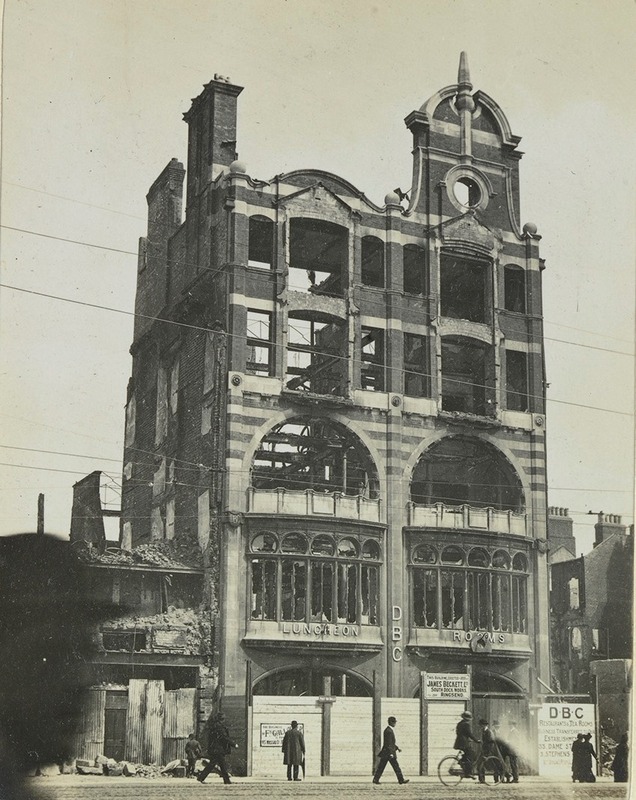 The viewer also gets a sense that work to make the buildings safe was started immediately after hostilities ceased. 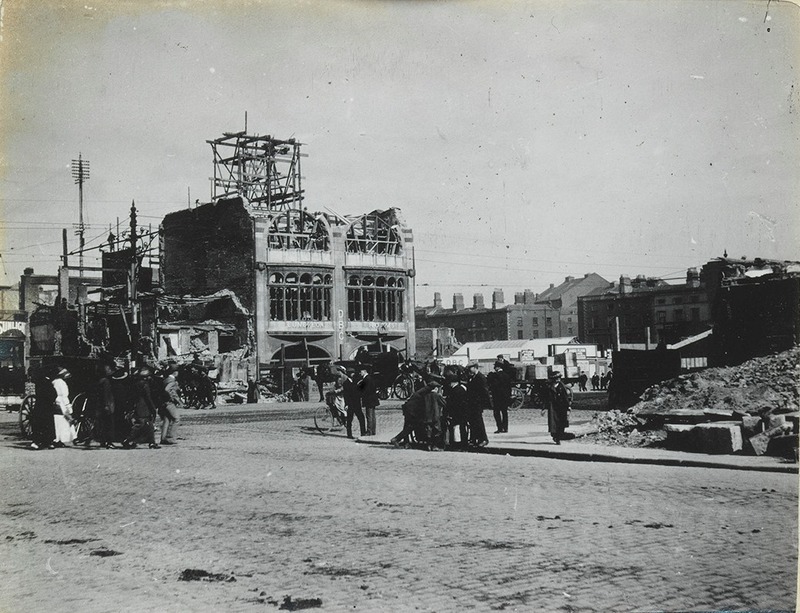 One image of the Dublin Bread Company (DBC) Luncheon Rooms taken on 17 May shows the ruin boarded up on the ground floor, whilst another taken on 24 July shows its upper floors already removed, with workers and scaffolding just visible behind: Westropp notes ‘The remainder of the front was taken down next day’. 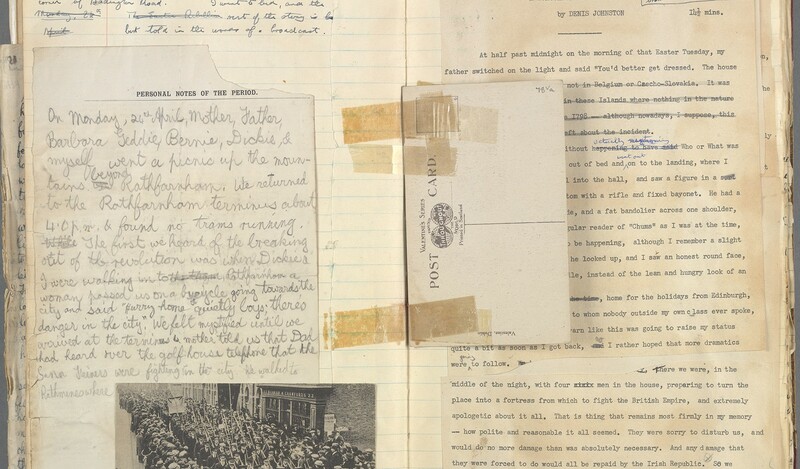 For further information on the papers of TJ Westropp held in M&ARL, including the photograph album TCD MS 5870, please see the MARLOC online catalogue. 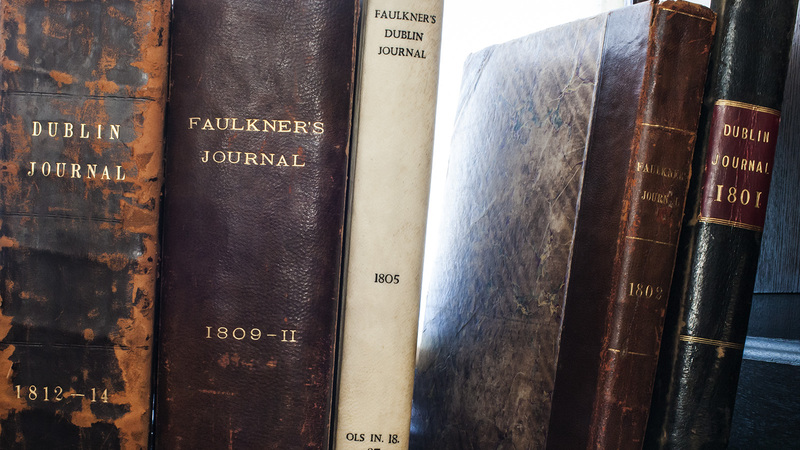 The album has been digitised in its entirety and is available on the Library’s Digital Collections site.